Black Coffee Sends His 8 Year Old Son A Sweet Birthday Shout Out. Like father like son. Black Coffee’s son Anesu is an F1 driver in the making. Just like his famous dad, Anesu is already creating a lucrative future for himself. 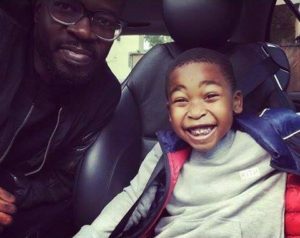 On his birthday, Black Coffee acknowledged his son’s talent in a birthday shout out. “Happy 8th birthday to our little Champ with the Golden heart,” daddy dearest said proudly. The post Black Coffee Sends His 8 Year Old Son A Sweet Birthday Shout Out appeared first on Youth Village.